scaba are pleased to announce that for the first time, we will be holding a workshop led by two respected AoBBA members, looking at the test pieces selected for the 1st and 2nd Sections at the 2018 Regional Contests. 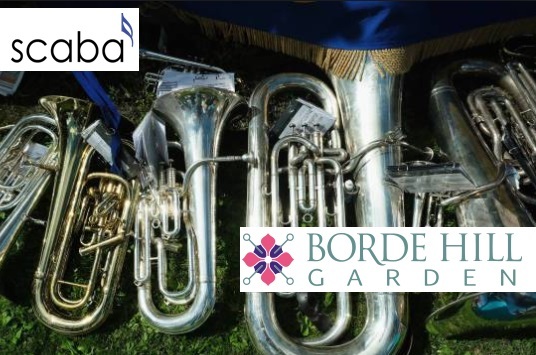 Brass Metamorphosis (1st Section) will be discussed by Nicholas Garman, who, as well being the MD of Littleport Brass and an examiner for the London College of Music, is also a member of the AoBBA Executive Committee. Nick has adjudicated at many competitions and is a regular on the Regionals circuit, not only as an adjudicator, but as a player and conductor too. Chris King will discuss the 2nd Section work, Ex Terra Lucem. Chris is the MD of the Friary Guildford band, and as well as preparing Odyssey with the L&SC Champions, he’ll be having a busy time adjudicating at the Regionals in both the Midlands and L&SC regions. The workshop will be held on Sunday 11th February 2018 in The Studio at The Hawth Theatre, Hawth Avenue, Crawley, RH10 6YZ. The Hawth has excellent road (M23 J11 Pease Pottage) and rail (Three Bridges) links. There is ample free parking at the Theatre and an excellent restaurant on site. The 2nd Section workshop will take place from 10.00-11.30 and the 1st Section from 12.30-14.00. The cost is £25.00 (scaba members £20.00) and is open to all. Places are limited, so to book yours, please contact Jane Stewart on 07980 407831 or contestmanager@scaba.co.uk. Priority will be given to Musical Directors of bands competing in the 1st and 2nd sections. Both Nick and Chris will lead the Friary Guildford Band to demonstrate their insights. As an added bonus, the Fodens Band are appearing in concert at The Hawth at 3pm, following the workshop. Tickets for this are available from The Hawth Box Office on 01293 553636. This entry was posted in News and tagged AoBBA, Areas, Brass Metamorphosis, Chris King, Ex Terra Lucem, Friary Guildford, Nick Garman, Regional, Workshop. Bookmark the permalink.